If you spot a dockless bike in an odd location please send a photo in an email and mention where you spotted it to [email protected] and I’ll add it to the queue. 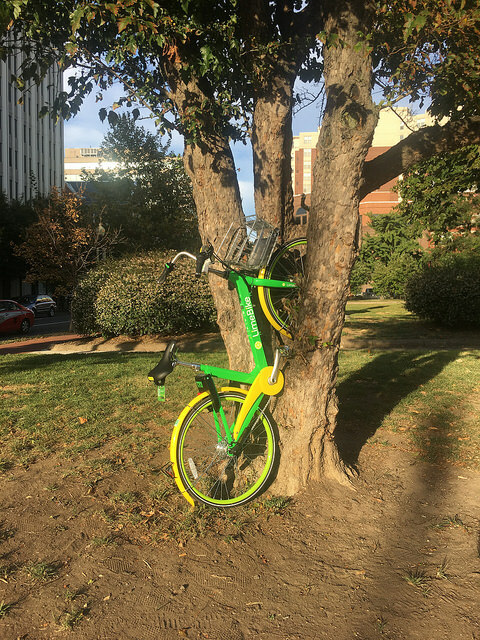 Where’d You Find A Dockless Bike Today? is made possible by a generous grant from the Ben and Sylvia Gardner foundation. Friday Question of the Day – Who is Your Medical Insurance Provider?